I have visited all kinds of gardens during my sabbatical. I have noticed gardens everywhere I’ve been, too–resaurants, people’s homes, rest stops, public parks. Some of them have been extraordinarily complex, offering a riot of colour or acres of blooms. Yet all that complexity has made places of simplicity stand out. Sometimes, I think that a simple colour scheme or a single kind of plant looks incredible. 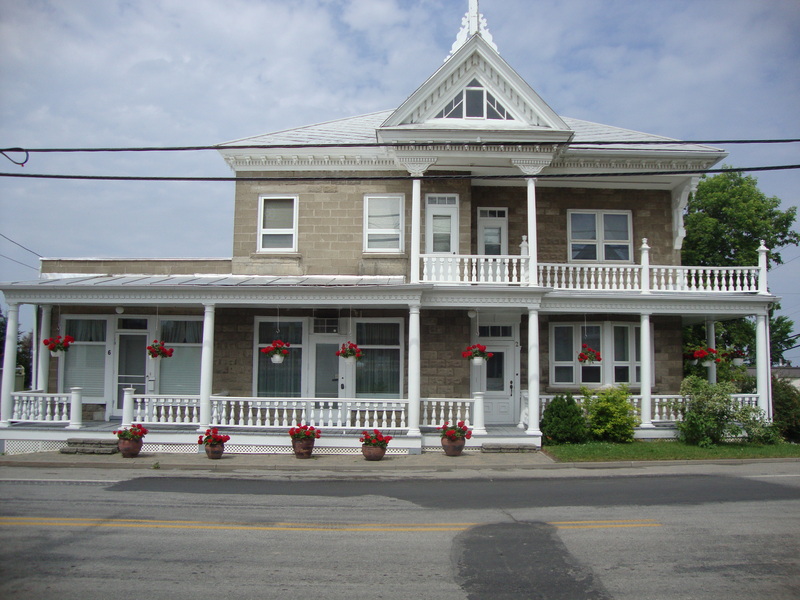 Just red geraniums in hanging pots, for instance, makes a white house look stunning. 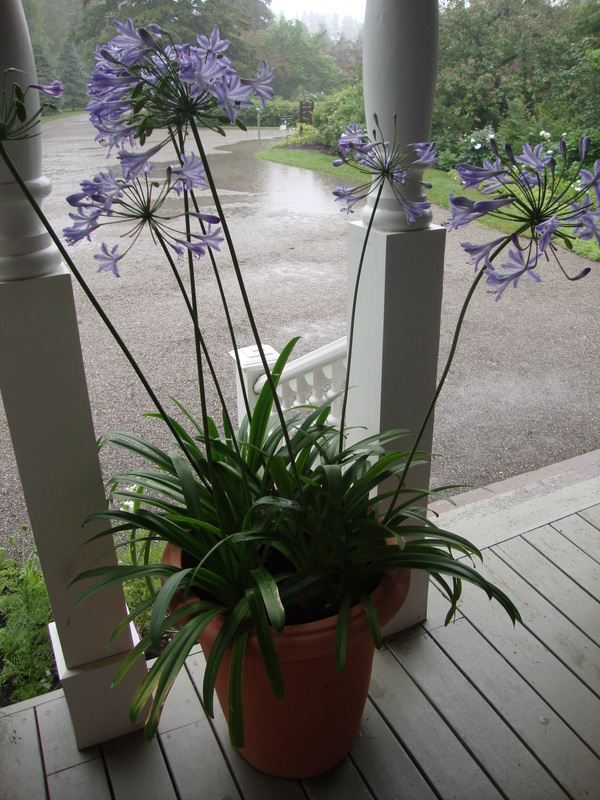 Or filling a large pot with only purple agapanthus can offer a fresh, clean look. As a gardener who loves to learn the latin names for everything, and who has a favourite plant list a mile long, this is somewhat of a revelation to me. I wonder if the appeal of simplicity doesn’t have something to do with the way that it stands in stark contrast to the rest of life. Everything these days seems complicated. Shopping for groceries, I am never sure whether to buy organic, local, or inexpensive. Reading the newspaper, I don’t understand the economics behind the Canadian real estate market or the U.S. debt. Raising my children, I am forced into endless grey areas created by social media, helicopter parenting and society’s preoccupation with sexuality. Simplicity is rare. 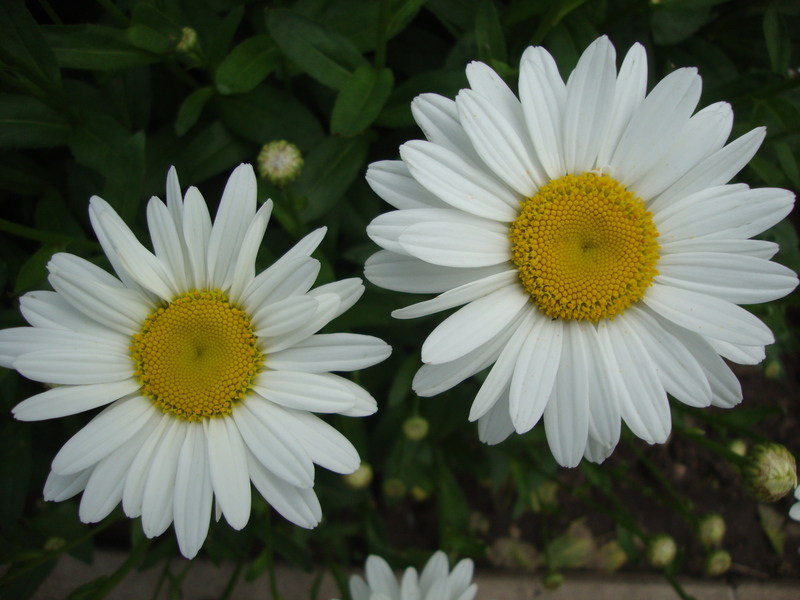 This summer, I am enjoying the large stands of shasta daisies in my garden. They are simple white and yellow flowers on tall green stalks. To some people they may be too plain, but I like that they are not fancy or complicated. They do not make demands on my time–they require very little care and bugs never seem to bother them. They look great as cut flowers in a vase all by themselves. They sit happily in my garden and bloom quietly. I like that. I can’t make the world around me less complicated. Things like the massacre in Norway, and the famine in Africa remain difficult problems to comprehend, nevermind solve. As my children get older, their lives become full of competing needs and wants. As our parents age, we tread the fine line between helping and meddling and are forced to cope with an increasingly confusing medical system. I can, however, embrace those things which are simple. I can enjoy the sound of the birds in the backyard, savour a ripe raspberry, hold my daughter’s hand. I can revel in the colour of the sunset, cook a plain baked potato, play frisbee with my kids. Perhaps those things, like my daisies, will give me a sense of peace and clarity. And perhaps with that around me, I will be better able to deal with everything else. This entry was posted in Uncategorized and tagged life, plants, Quebec. Bookmark the permalink. Amen. I love that Shaker Hymn. I sing that to myself when I need a break from life. Yes, I love that hymn, too. I remembering singing it with a choir while I was in seminary, in a simple arrangement with piano and only light harmonies. Gorgeous! We sang it recently in my church choir. That’s one of those songs that have to be simplistic with instrumentation or it’s completely ruined. One of the many reasons why I love to sing it. Hello! Thanks for stopping by and joining me on my journey.